Dennis Creedon Mahopac’s new Superintendent of Schools Dennis Creedon is eagerly looking forward to meeting his constituents at a Meet and Greet this evening (Thursday) in Mahopac Falls. 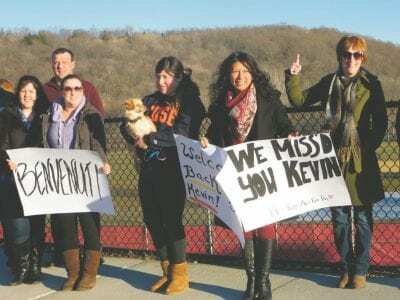 Dr. Creedon, a career Pennsylvania educator, was named Monday a… Please login below or purchase a subscription to the Putnam County Courier to access this content. Purple Heart recipient Marine Corps member Charles Moore receives an ovation. The interior of Carmel Town Hall was decked out in red, white and blue when dozens attending a meeting of the Town Board last week commemorated Carmel becoming Putnam&rsquo… Please login below or purchase a subscription to the Putnam County Courier to access this content. Pradnip Patel assesses the damage of his Lake Carmel General Store Monday. The winter gone by continues to raise havoc on the area. 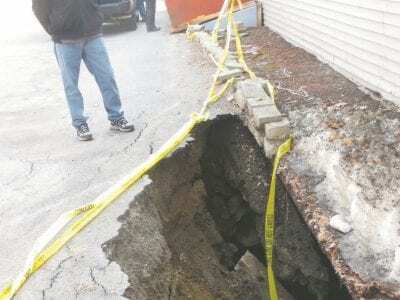 A sinkhole has forced the collapse of a retaining wall, thus knocking out a wall and support structure in the basement… Please login below or purchase a subscription to the Putnam County Courier to access this content. County police in Putnam is by no means a fait accompli despite a request by the Carmel Town Board for county officials to form a special task force in order to study the “feasibility or merging law enforcement by creating a countywide police model.”… Please login below or purchase a subscription to the Putnam County Courier to access this content. Above: The Easter Bunny greets the large crowd amidst a field of eggs before the hunt. 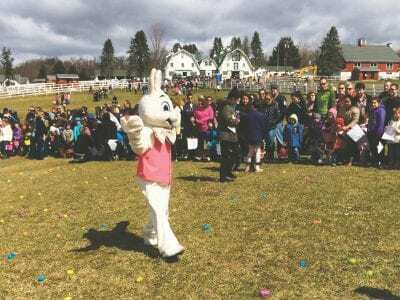 Strong winds and blustery conditions failed to chill the spirits of scores of areas residents who attended Saturday’s Easter Egg hunt at the Tilly Foster Far… Please login below or purchase a subscription to the Putnam County Courier to access this content. 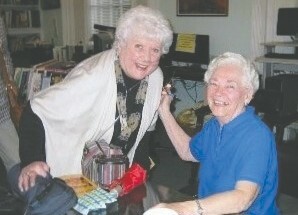 Dorothy Killackey signs her book for Mary McQueeney of Brewster at a recent book signing. Author and retired teacher Dorothy Killackey will be hosting a program at the Brewster Public Library next Saturday. 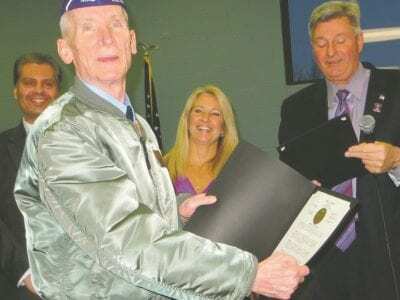 Killackey, Putnam’s Senior Citizen of the Y… Please login below or purchase a subscription to the Putnam County Courier to access this content. The Military Collectibles and Knife Show will be held on April 25th at the Patterson Recreation Center. Historical items for sale will include Insignia, Medals, Uniforms, Equipment, Swords, Knives, Headgear, Books, Art Work , Antique Muzzle Loading … Please login below or purchase a subscription to the Putnam County Courier to access this content. Get those bell-bottom trousers out of storage. Clean up the white bucks or saddle shoes! 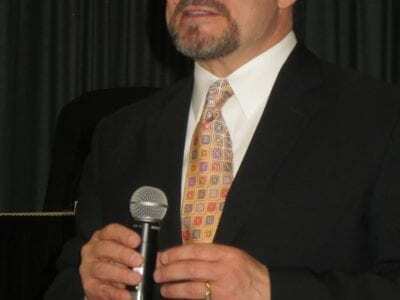 Putnam County will be welcoming back several musical stars of yesteryear thanks to the Lake Mahopac Rotary Club which next month is presenting its 3rd annual D… Please login below or purchase a subscription to the Putnam County Courier to access this content. I was amazed but not shocked, regarding the Putnam County Legislature’s refusal to take action on a letter of intent, for the leasing of space for a senior center at Butterfield. I would think that after six years of study, reviews, meetings, … Please login below or purchase a subscription to the Putnam County Courier to access this content.